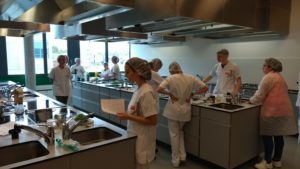 Graduate nutritionist and dietitian students of the UCLL in Leuven have begun their search for the food of the future. 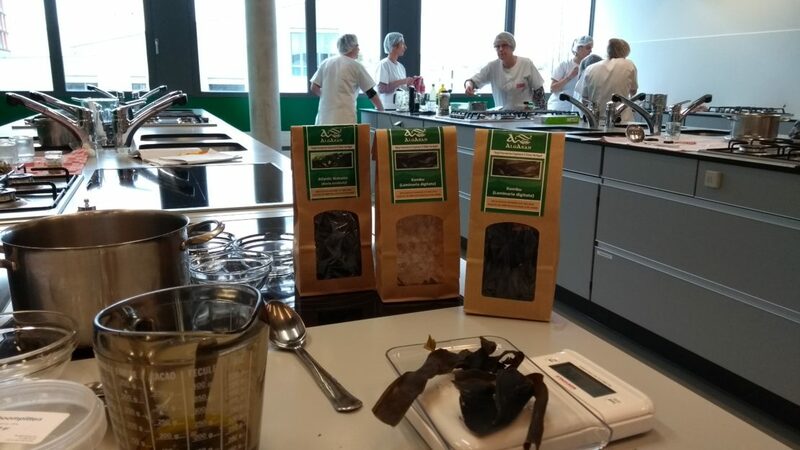 More specifically, in the course Industrial Food Production the students started experimenting with different types of seaweed, and researching which ones can be useful as an ingredient for innovative and tasty food. Everything has to happen according to protocol and under the watchful eye of the experienced professors. Before starting this venture the students were thoroughly prepared. For most of them seaweed is an unknown ingredient: “I had never worked with seaweed before”, Jente says. She is a student who opted for a specialized course in provisions technology. “I think it is something new and original that can hopefully lead to something tasty”! The last bit is not an easy thing, as we can deduct from her facial expression after tasting her latest creation. “It still needs some work, but we have until December to come up with a finished product,” another student remarks. Experienced professors Kristel an Yvon are facing a challenge: “Even for us it is a new product that we first came into contact with through the Food for the Future project. During the summer we were able to do some research thanks to the samples Seaconomy provided for us, and whatever we could find in the local supermarkets. For us, quality and the availability of the basic resources is very important as we are looking to produce on a large scale”, Yvonne explains. “We have entered into a partnership with local producer Hof Ter Vrijlegem, who are really interested in selling the product because they realize its potential. Which in turn looks like an ideal challenge for the marketing… We will be able to taste the first results in December.